Home » Security Bloggers Network » How Can Ransomware Files Be Unlocked? 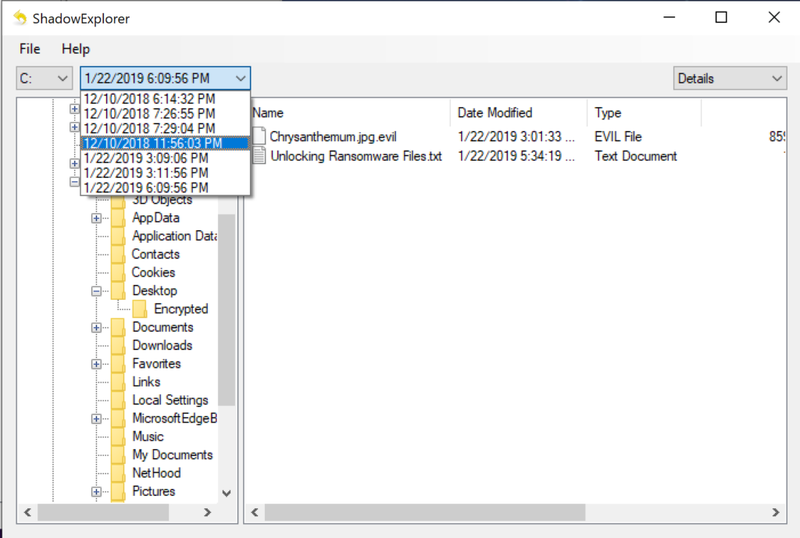 How Can Ransomware Files Be Unlocked? Ransomware is not going anywhere. It’s still successful and milking money from enterprises, small and medium-sized businesses, and individuals who find that one day all their memories, photos and documents have been encrypted by extortionists. For enterprise, there are solutions that can fight effectively against this epidemic, like SentinelOne. But the battle against ransomware is far from over. Spreading ransomware is a low-risk, high return endeavour for criminals, and with ransomware-for-sale on the Dark Net, it hardly requires any technical skill either. The severity and indiscriminate nature of the threat – ransomware doesn’t care if you’re on welfare or you’re a multinational corporation – has resulted in many free decryption tools. Some sites aim to help victims of ransomware retrieve their encrypted data without paying – and thereby without incentivising – the criminals. 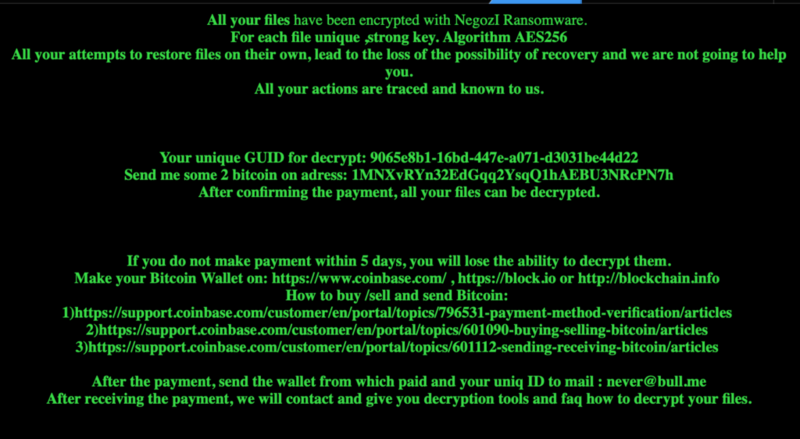 Victims of ransomware can upload samples of their encrypted files along with text from the ransom note. Such services are free and promise to provide a link to download the decryption solution, if one is found. There are currently almost 100 public decryptors available, including decryption tools for AutoLocky, CryptXXX, GandCrab, Jaff, Jigsaw, MacRansom and many others. If the ransom note doesn’t have the information you need, some tools will try to recognize the malware from a sample you provide. Remember, of course, if you’re uploading samples of your encrypted files to a public service, ensure you pick a file that didn’t originally contain sensitive information or information you’d be uncomfortable sharing with others. While decryptors are a great resource, the problem facing victims is the huge variety of ransomware strains. 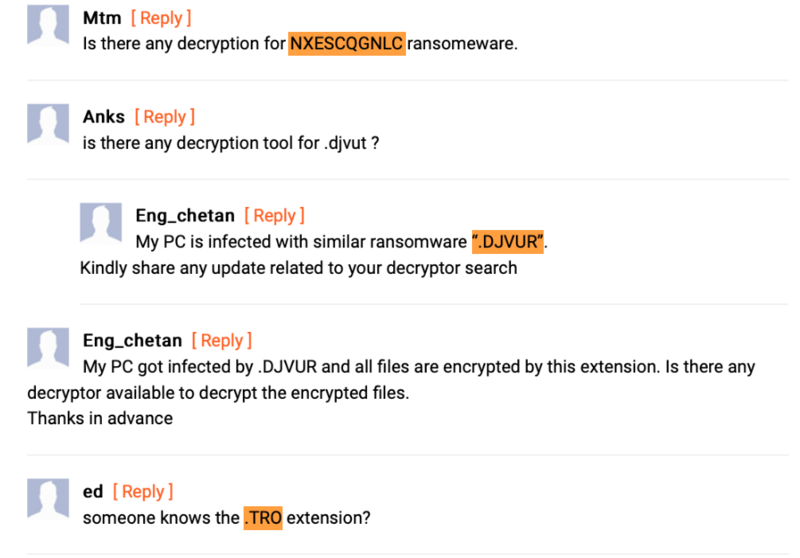 There are many ransomware variants for which no reliable decryptor is yet available, such as Hermes and Ryuk, and some ransomware strains are just undecryptable entirely. What are your options in that case? If you have an external backup that was not connected at the time you ran the software, then hopefully you can recover most of you personal files from that, depending on how long it was since you last connected the drive. However, remember to remove the malware before restoring files from your backup, or even better wipe the internal disk and do a complete reinstall of the operating system from your backup. If the backup drive was connected at the time of the infection, or you do not have an external backup, you can check recovery options on your computer. For Windows, you should check whether you can access previous versions of a file, directory or drive by right-clicking on it and either clicking the ‘Restore Previous Version’ or clicking the ‘Properties’ menu item and the ‘Previous Versions’ tab. For macOS users, check whether individual files can be restored through the built-in Document Versions function or if entire folders can be restored through the Time Machine interface. Did the Malware Delete All Shadow Copies? If you didn’t see any Previous Versions in Windows, check to see whether the malware also deleted the shadow copies that Windows automatically creates for backup purposes. 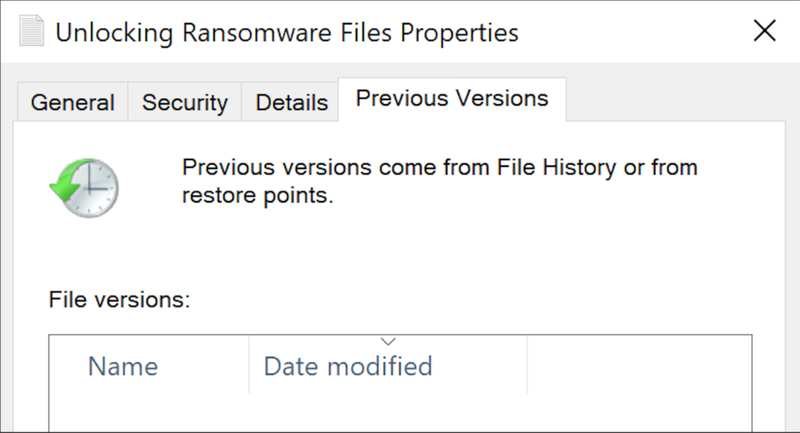 Many modern ransomware variants will remove these backups early on in the infection, but it’s always worth checking for several reasons. The ransomware may be an unsophisticated variant, or it may have failed to complete the removal for some reason. Also, the lack of Previous Versions in File Explorer isn’t always a reliable guide as to whether there are any shadow copies present. These copies are created on all versions of Windows, but they are not exposed by default in some editions of the operating system. In the event that any are listed, you can restore the entire machine to the snapshot through the Recovery partition. Learn to backup, and backup often. Keep backup disks disconnected in between scheduled backup operations. That way, if you do get infected with any kind of malware, your backup disk is protected. We recently ran a test to see how SentinelOne would handle a ransomware attack by Negozl ransomware, a variant for which there is no public decryptor. To make it more interesting, we obfuscated the sample to eliminate the option of a reputation discovery by the security software. This technique is also used by malware authors to bypass legacy AV – if you add a byte of information at the end of a file, you change its entire signature. For an extra challenge, we disconnected the network so that any detection by our next-gen AV software could not benefit from access to cloud services. While some vendors tout cloud-based detection, the reality is that malware acts faster on the local machine and can prevent cloud-based AV software from communicating with the sensor on the local device. The video below shows how the SentinelOne agent performed. 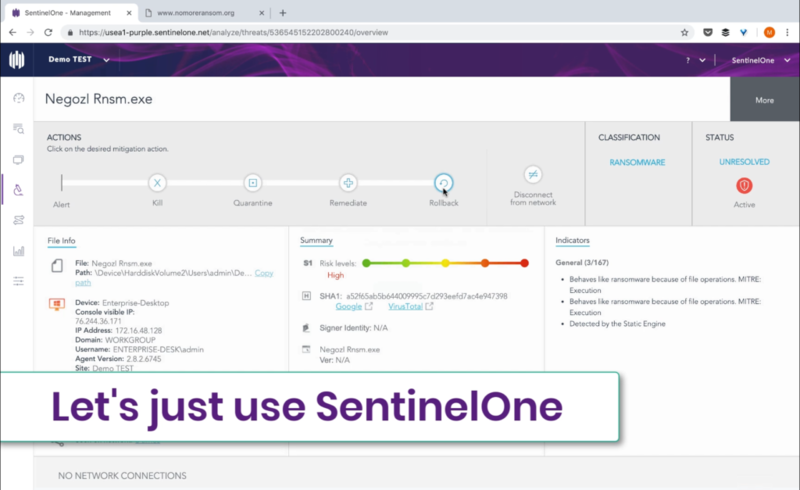 The SentinelOne agent both detected the ransomware and – after we allowed the test machine to execute the ransomware for the purpose of the test – was able to rollback the encrypted files to their normal state within seconds.